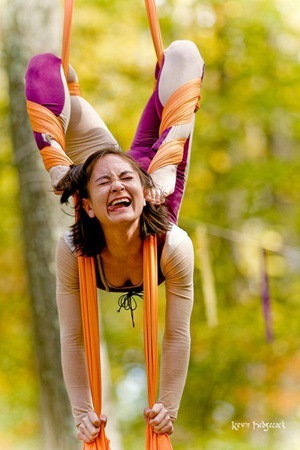 You take a couple of aerial dance classes, and all of a sudden people are paying you to contort on trapezes, walk on stilts, stand on your hands, ride unicycles, juggle clubs, eat fire, and hold bullwhip targets in your teeth. Or at least that has been Moira Lee's experience. Since 2006 she's been muddling her way through a career in circus and variety arts, and over the past couple years has been privileged to study physical comedy with foolish folks like Michael Rosman, Mark Jaster, Jango Edwards, and Drew Richardson. 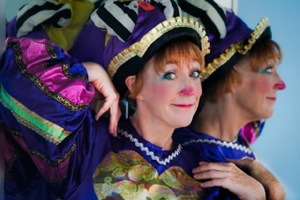 After cutting her teeth as a regular at the Maryland Renaissance Festival, DC's Palace of Wonders, and Baltimore's Inner Harbor, she's eager to see what kind of dressing room they have at Clown Cabaret. Mandy Dalton is a professional comic actress and clown. She has been performing professionally for over 29 years throughout the Mid-Atlantic Region. 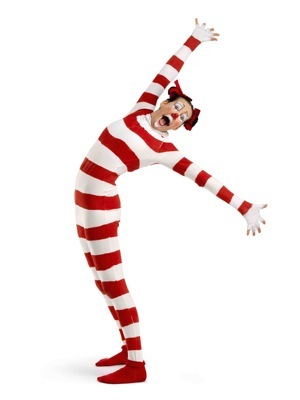 Her education in clowning started at the Ringling Brothers Clown College (1982) and her training includes work at the Moscow Art Theater School and Cirque du Soleil. Her clown credits include work at the John F. Kennedy Center, Synetic Theatre’s “Black Out” series, The Central Intelligence Agency, Arena Stage, and the Maryland National Capital Park and Planning Commission. Graham Pilato got his BA in Dramatic Arts at St. Mary’s College of Maryland, and after a couple years as a high school English teacher in Southern Maryland ending in 2007, has returned to acting, having now appeared in several Baltimore and Washington D.C. area theatres, including with Fells Point Corner Theatre, Baltimore Shakespeare Festival, Mobtown Players, the Maryland Renaissance Festival, Molotov Theatre, and Happenstance Theater. His background in experimental theatre and improv comedy prepared him for work with Faction of Fools, DC's Commedia dell'Arte theatre group, with which he appeared in “The House with Two Doors” and “Tales of Love and Sausages” in 2010. He is an Associate Artist with Faction of Fools and always looking for new places to be silly. Toasty Poocracker is an actor, educator, graphic and web designer, and clown. Recent acting credits include a national tour with the American Shakespeare Center of The Taming of the Shrew, The Merchant of Venice, and Henry Vin repertory; Richard III and Pride & Prejudice with the Shakespeare Theatre of NJ; Proof with TheatreFest; A Midsummer Night's Dream with the American Globe Theatre; and the film Cult of Sincerity, recently broadcast on PBS. 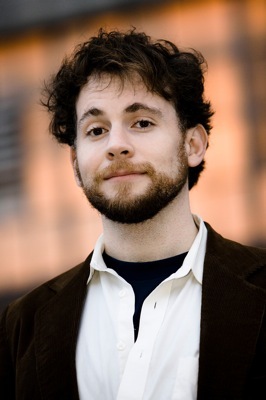 He has also taught workshops and classes in Classical Text, Acting Shakespeare, and Clown as a teaching artist for the Shakespeare Theatre Company and at other venues including Broadway Theatre Workshop, Knox College, and The Center for Baroque & Renaissance Studies’ summer program. A proud member of AEA! He received his MFA at the Shakespeare Theatre Company's Academy for Classical Acting at The George Washington University. BFA, Montclair State University. "I have never seen it done by a woman, and done so well!" "World class in the best classical tradition..." Z Smith is an actor who has been performing and writing clown material for 10 years. Inspired by vaudeville and the classic era of cartoon her performance is filled with live music, slapstick, and audience participation. A Baltimore native, she moved home in 2009 and has appeared with such favorites as Baltimore Choral Arts Society, Chorus of the Chesapeake and, her friends, the UnSaddestFactory Theater Company.